Cape Town's dynamic economy is an African business hub for entrepreneurship and innovation. The city is digitally connected, offers a favourable lifestyle, sound infrastructure, a skilled and energetic workforce, four top universities and two globally recognised business schools. The world-class central business district is a safe, bustling centre of commerce and retail activity. Cape Town’s economy is the second largest municipal economy in South Africa and the second most important contributor to national employment. the best place in Africa for hi-tech. three major universities in the metro region. One of these is the top-ranked university in Africa, and the second highest ranked university in South Africa is located just outside the metro boundaries in the historic and beautiful town of Stellenbosch. trade and retail hub of farming products. 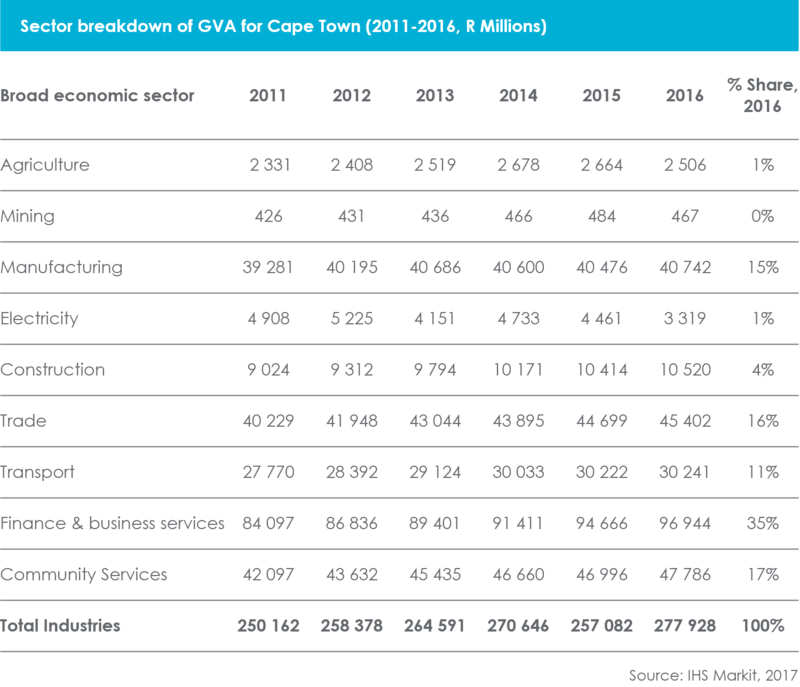 The biggest economic sector, by value, in Cape Town in 2016 was the finance and business service sector, contributing R96,9 billion (35% of the GDP_R at constant 2010 prices), while manufacturing contributed R40,7 billion (15%), and community services contributed R47,8 billion (17%). 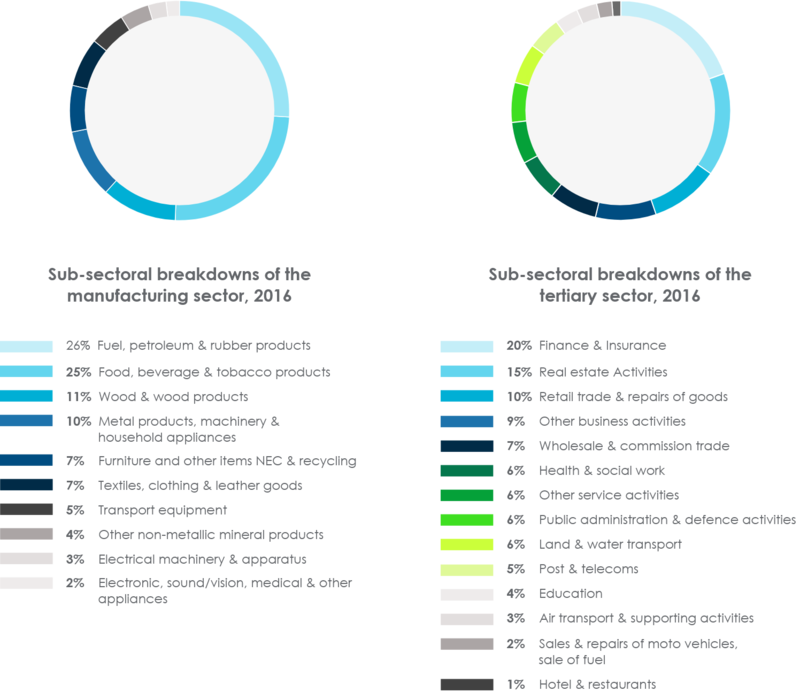 Cape Town’s fuel, petroleum, chemical and rubber products (26%) and food, beverages and tobacco products (25%) sub-sectors were the largest contributors to the manufacturing sector.